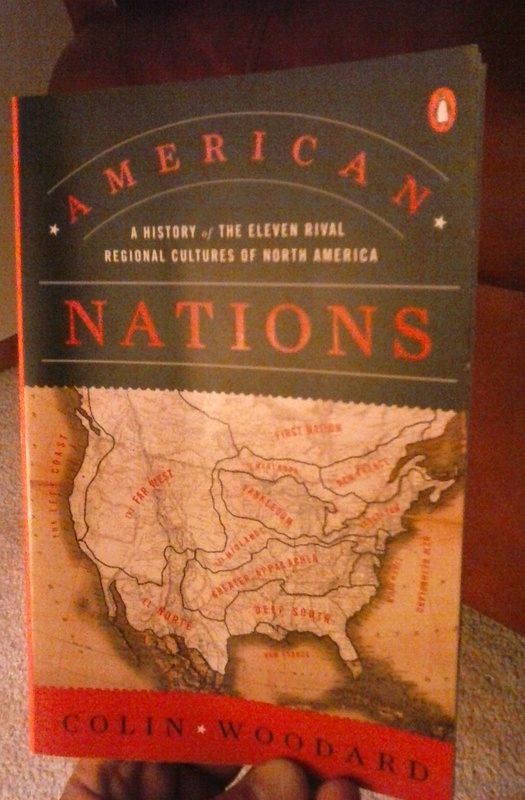 The author does an especially good job explaining the fascinating history of how the distinct colonial nations of the east coast expanded west and maintained many of their distinctive features in a new location, whether in the midwest or on the west coast. He shows how the patterns of settlement determine the social and political characteristics of western states today. Woodard could have done a better job tracing the changes in religious belief and how the nations were impacted and altered by those changes, especially “Yankeedom.” He doesn’t seem to have a firm grasp on that aspect, not drawing a line between the public Christianity of the puritan fathers and the social activism of liberal churches and post-Christian New England, to mark when and how the change came about, and what impact it had on the nation. He seems to think that the Puritans deemphasized individual Christian faith, although of course those who know the Puritans know that if anything they are often perceived as being too introspective about their faith. And New England was also the birthplace of the Baptists in America, an offshoot of the puritans, who later made such inroads in the Deep South. All in all it’s a very useful book. I’ve just had the pleasure of completing Pierre Viret: The Angel of the Reformation by R. A. Sheats. This is the finest specimen of a spiritual biography that I can recall reading in recent memory. Here are 6 reasons why I recommend that you read it. 1. It is an action-packed, page-turning thriller. From conflicts with Romanists, Protestant magistrates trying to control the church, & ignorant parishioners, to empoisonment, to illness, to blessed fruit, to a surprisingly gentle character in the face of opposition, capture, and imprisonment, I just couldn’t put this book down. The action is non-stop. 2. It is well-written. Sheats writes with an effusiveness and expressiveness of style that can only come from being immersed in 16th century French literature for months without end. Her English prose ebbs, flows, and punches. 3. It is doxological. As a spiritual biography should be, it glorifies God in all things. This book will drive you to your knees in thanks to God for His mighty acts in history. 4. It fills in important historical gaps. Pierre Viret (1511-1571) is a name that is largely forgotten, but it clearly should not be. Viret, along with the more famous Calvin and Farel together formed the triumvirate. These three pastors worked closely together, were dear friends, and were used mightily in French-speaking Switzerland. 6. The beautiful glossy color photographs on location in Switzerland and France. They made me want to go visit all those places. Now, I have to someday. Honestly. I won’t say that you must read it. I will only say that if you don’t, you’re really missing out. Read my expanded book review on the Ordained Servant Online. Gresham Machen (1881-1937) was a figure who towers above most of the rest in the history of Christianity in the 20th century. He is best known for his valiant fights against liberalism: at large, for Princeton Seminary and especially in the Presbyterian Church in the USA, for founding an institution, Westminster Theological Seminary, and a denomination, the Orthodox Presbyterian Church. But his influence on Christianity in America today goes far beyond the latter two accomplishments. In a biography of Machen by one of his close associates, Ned Stonehouse, Machen is described as a student, a scholar, a professor, a vibrant Christian, a friend, a son, and finally, as a leader of a movement for reformation. 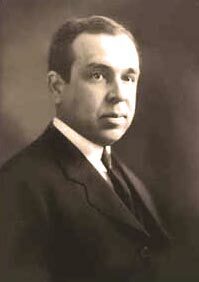 This biography gives many details about Machen’s personal life and character. Stonehouse draws heavily from personal correspondence between Machen and the most important person in his life, his mother. This is a book that I had started reading some time ago, but to tell the truth, I had been discouraged by the incessant details toward the beginning of his life detailing his childhood in Maryland and undergraduate studies. I wanted to get to the exciting stuff! 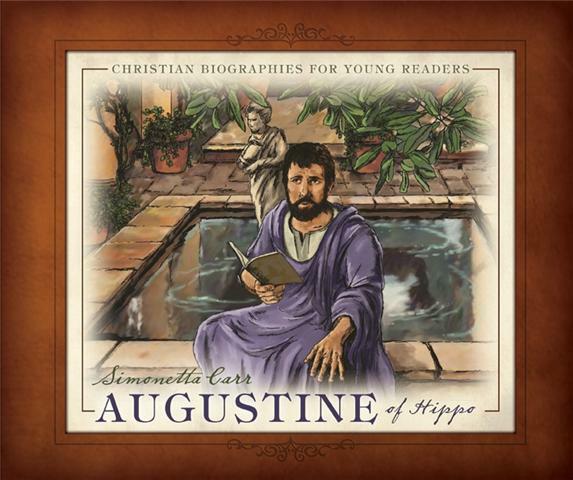 At times I had the feeling Stonehouse was idealizing the mundane in a way that smacked of hagiography. But when I finally picked the book back up, and got through the portion on Machen’s early life, my interest picked up quickly in the narrative of Machen’s graduate studies in Germany. The parts that I benefited from the most in this book were the interesting details of Machen’s life that I hadn’t read about already in various other accounts, especially events other than the events of 1926-1937 concerning Princeton Seminary and the Independent Board of Foreign Missions. (Imagine a day when events at these institutions was covered intensely by the New York Times!) When he went to Germany as a graduate student, for instance, he was confronted by the arguments of some of the most renowned voices of liberal theology and biblical interpretation. I had been unaware of just to what extent Machen was impressed by their version of Christianity and their religious fervor! He was really shaken in his faith, at moments. Under the instruction of the leading biblical scholars in the world, he sometimes was driven to doubt basic orthodox Christian tenets like the inerrancy of Scripture and the literal, physical resurrection of Christ. It was wrestling with the best arguments that the liberals had to offer, and his later coming to terms with the old paths laid out in Holy Scripture, that later made him such a capable defender of biblical orthodoxy. In his experiences in the German Academy, Machen was being prepared for the work that God would have for him. It is notable that even after having served for many years as Professor of New Testament at Princeton Seminary where he had built a reputation for stalwart biblical conservatism, he still recommended Germany as the top choice for advanced studies, that is, for students that he believed had real potential. Machen served during the Great War with YMCA, performing retail duties in France before he got to do any spiritual work near the close of his tour. But his response to the political climate of World War I shows his continuing love for Germany and the German culture, even as he was convinced that the only acceptable outcome would be an outright victory for the Allies. His sense of fairness, however, would not permit the Germans to be demonized or those of German decent in the United States to be abused without protest. Several things stick out in my mind about Machen after reading Stonehouse’ biography. First of all, his thoroughness and skill as a scholar is prominent. Machen’s articles and books were universally respected, even by unbelieving liberal scholars, in an age dominated by secular Bible scholarship, despite the fact that his conclusions were solidly orthodox and evangelical. Here was a man of high intellectual ability, applied to the science of the New Testament, who was known and regarded for his forthright yet congenial manner of writing and speaking, even in important debates. His major works, The Origin of Paul’s Religion, Christianity and Liberalism, and The Virgin Birth have not lost their relevance to this day. Secondly, he was a true man of culture. Here was a man who spoke several languages, enjoyed sports, hiking in the alps, an occasional cigar, and was able to enjoy God’s gifts with humility and thankfulness to the Creator. His dedication to his work sticks out. Machen had the freedom to give himself wholeheartedly in the Lord’s service to whatever he laid his mind to. He remained single throughout his life, and this doubtlessly gave him liberty, time, and energy to contribute many things for the Lord’s cause. This book is available for purchase here. Of all the great preachers and theologians in the hall of Church History, few are as broadly appreciated, read as far and wide still in our present day as Charles H. Spurgeon. Revered throughout evangelicalism as a preacher and evangelist, the preacher at the London Metropolitan Tabernacle exemplified the heavenly gift through his wit, his understanding and application of the human condition, his pointed focus, and soundness to the teaching of Scripture. I personally remember seeing his works in the bookstore at a large charismatic megachurch that I attended many, many years ago. That Spurgeon is still read so broadly is a testament to his staying power and appeal. In this book by the distinguished historian Iain H. Murray first published in 1966, Murray’s book focuses attention on episodes in Spurgeons life ministry which, according to Murray, had received short shrift in previous biographies and works on Spurgeon. Murray’s premise is that Spurgeon’s role in doctrinal controversies has been downplayed because those who had hitherto written about him did not share the beliefs that he fought for in those instances of his ministry. They tend to either describe his involvement in doctrinal controversy as out of character, an aberration, or a forgivable flaw in context with all the “good” produced by him in contrast to the controversies, like winning the lost. Spurgeon’s response during times of controversy usually came in the form of sermons preached during the times of the controversies. Murray’s thesis seems plausible to me, though I must admit that I have never read any of the biographies of Spurgeon that he cites. Due to the efforts of Murray and others, I have a hunch that Spurgeon’s distinctive theology which sets him apart from much of what passes for modern evangelicalism, that is, his adherance to the teachings of the Puritans and Reformed soteriology are now better known than they were fifty years ago. That is, in my judgment Spurgeon is probably more widely recognized as a Calvinist today than he once was. But I decided to write this review because I think Murray’s book offers insightful thoughts from Spurgeon on many practical things which are still confronting ministers of the gospel today. My intention is not to write a comprehensive book review summarizing all the details in every chapter of the book, but to highlight insights which I find engage me in my current context, and hopefully others will benefit from them as well. I will stick to Murray’s book and will not be quoting any other works. I will use the term “Calvinism” to represent a soteriology which holds that salvation is unconditionally of the Lord from start to finish, which is the way in which Spurgeon embraced and used the label. 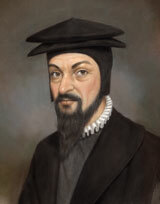 It is commonly thought in evangelical circles that Calvinist preaching does not appeal to the masses. If it can cause growth anywhere, it would seem to be only among the most intellectual and rationally educated demographic like university students, software engineers and physics teachers, or maybe in certain ethnic communities where people have been raised on it. According to this thinking, industrialized South London was no place where Calvinism should flourish, humanly speaking. Yet despite all of these human factors, Spurgeon’s ministry, particularly known for its bold exposition of the doctrines of grace from Scripture, flourished among factory workers, housekeepers, and chimney-sweeps. What a testimony this is to God’s grace! Doesn’t this sound a lot like the God we read about in the first chapter of Corinthians, who has chosen the foolish things of the world to confound the wise? And my own limited experience confirms that it is often the most humble of station that are best prepared to embrace a Sovereign God who works all things according to the counsel of his will. (Ephesians 1:11) Many of the people I’ve known in churches where the doctrines of grace were taught have been truck drivers, welders, municipal workers, or nurses. 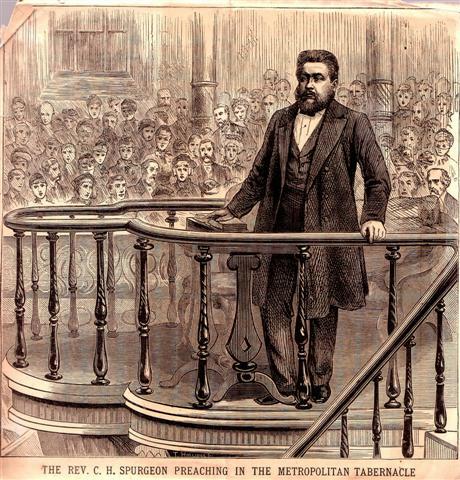 The example of the success of Spurgeon’s ministry in hardscrabble South London ought to serve as an example and encouragement to us preachers who are committed to the same doctrines that he professed. We base our hope for growth and discipleship not on the education or intellectual powers of the hearers, but only on the grace of God and the sanctifying work of the Holy Spirit on the mind of the redeemed sinner. Murray also notes that Spurgeon was more noted for specifically preaching on the doctrines of grace earlier in his ministry, but that later in life, he widened his field, so to speak, by preaching on other topics more frequently without changing his position on the sovereign grace of God which saves. (35) Probably this is a growth cycle that many Calvinistic preachers go through as they mature and come to a greater understanding of the Scriptures. Over time, they come to understand the Scriptures better, so they find more doctrines and topics in each passage to address in preaching. The effect is a greater variety. Spurgeon’s first major controversy arose through criticism from those Murray calls “Hyper-Calvinists”, who through peculiar attempts at logical resolution denied the free offer of the gospel to all hearers. It seems that Spurgeon had not yet come under the widespread attention of the larger Arminian camp which preached “free will” in opposition to Calvinism, but he had managed to arouse the ire of Hyper-Calvinists by the freeness with which he offered Christ crucified to all sinners who heard him. Actually, (as Murray notes,) Hyper-Calvinism is a misnomer because it disagrees with Calvin who clearly articulated and preached the free offer of the gospel. The problem with the Hyper-Calvinist approach is that those who are truly touched savingly by God’s grace are the last ones who will consider themselves to be fully convinced or sensible of their condition. The awakened sinner only sees his wretchedness and misery, not his awakened state. Therefore, he will assume that the message of reconciliation preached to those who sense their sinfulness is not for him, since his senses do not even begin to plumb the depths of how truly sinful he is, he thinks. On the other hand, when the only requirement for receiving the gospel is that one be a sinner and rebel against God deserving of eternal hell, not necessarily one on whom the Holy Spirit is working, then the truly awakened will perceive that this is a message for them, and that Christ is truly offered to be their Savior. Ironically, where the Hyper-Calvinists fall short on this point is at the same point where the Arminians fall short. By requiring that the hearer be in some sense prepared mentally and spiritually first in order for the good news of Christ’s death and resurrection to then be applied to him by the preacher, they were implying that the power of Christ’s atonement did not extend itself to the unbelief and hardened obstinacy of those for whom he died, but that something else is required before this atonement may be applied to sinners in preaching. In contrast, biblical Calvinism recognizes that it was not for the awakened and spiritually concerned that Christ died, but for hardened sinners and enemies of God, even for the very people who crucified him. In this way only the Calvinist message based on Scriptural teaching that Christ died to save to the uttermost all His elect is actually able to freely offer the gospel to all hearers. Hyper-Calvinism, then, with its offer of salvation limited to those who were already showing signs of being elect, falls short of a true representation of Calvinism, and more importantly, of Christ’s atonement as revealed in Scripture, because it does not offer Christ to hardened sinners. 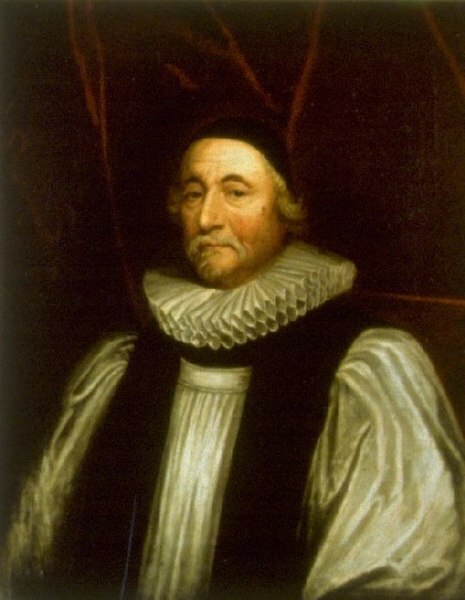 Calvinists are precisely those who believe that hardened sinners are saved by grace in their state of spiritual death in keeping with Ephesians 2:4-5, But God, who is rich in mercy, for his great love wherewith he loved us, Even when we were dead in sins, hath quickened us together with Christ, If we are to be true to our beliefs, we must present the good news of reconciliation with God to the worst sinners imaginable in our preaching, that is, to those who are entirely unawakened and unenlightened, who are completely numb in a deathly stupor. This point hit me when I read Murray’s book. I began to feel convicted about one recent sermon in particular, at a wedding, when I recall having said something to the effect that “if the Holy Spirit is drawing you, then embrace Christ the Savior and be saved by him.” Although my intent was to be true to God’s sovereignty in salvation in the way that I presented the gospel, I am now of the opinion that I was being hyper-calvinistic in this type of appeal, as if Christ were not freely offered to those on whom the Spirit has not begun to work. But perhaps the more weighty consideration is that those on whom the Spirit is working will not be cognizant of the fact at that point in time, and that by putting in the description that those who should come are those who are being drawn by Him, I may cause certain hearers to exclude themselves from the invitation, namely those who are most sensible of their sinfulness! I am thankful to Spurgeon and Murray for helping to bring to my attention a serious flaw in my preaching. If I truly believe that salvation is of grace alone, as a good Calvinist, then I cannot fail to freely offer forgiveness of sins and eternal life to those who are completely dead in their sins and without any taste for the things of God, in the way that God has appointed, that is, upon condition of faith in Christ. To the Calvinist preacher of the gospel, it is a comfort to know that he has a full, real, specific, and particular atoning sacrifice to preach to all men in general. 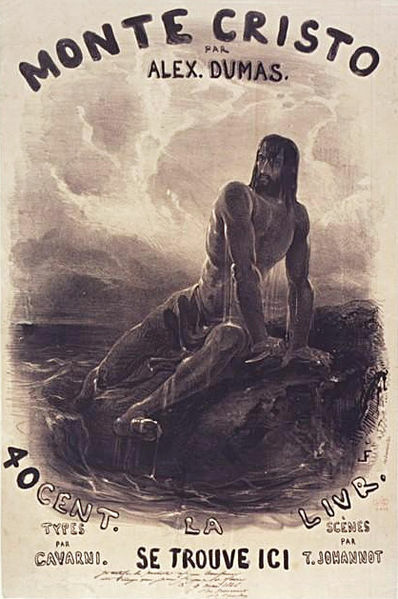 Because Christ died to save a particular people, his death is both powerful and effective to save them, and when they hear the gospel generally preached to all men, those who are called and chosen will respond in faith and obedience, all of which are fruits procured by the death of Christ himself on their behalf. That is to say, the blood of Christ conquers the sin of unbelief and turns it into faith. Arminianism, on the other hand, believes that the sinner dead in trespasses and sins must supply the faith himself (or at least, that his will is the determining factor,) meaning that Christ’s death has not fully washed his mind and renewed his conscience. Without the doctrine of particular redemption, then, there is not a full atonement. What a contrast we find in such quotations with the easy-believism of our day. As in the day when Murray wrote this book, we find little that will stand the test if this kind of preaching is the model of gospel-preaching. Spurgeon preached both the necessity of believing and the hearers’ natural inability to believe with equal fervency, with glorious results. Could we do that in our preaching? What might happen if we did? The other aspect of his preaching which is noted by Murray in contrast to the Arminian type of evangelism is his emphasis on regeneration. Spurgeon believed, based on Scriptural teaching, that only a life-giving miracle of the Holy Spirit can raise a sinner dead in sin and unbelief to life in Christ. He did not shy away from preaching this doctrine even to the unconverted, because he believed that to make the hearers’ eternal destiny seem to depend on their own decision-making would be to invite false conversion and impiety. I find this aspect of his preaching to be convicting. How many of us of the Reformed or Calvinistic persuasion make a point of preaching on the topic of regeneration, and how do we associate this topic with the gospel? Yet so many of the great evangelists of old have preached on regeneration as the other side of the coin from the “free offer.” George Whitefield and the great awakening comes to mind. What would a ministry of the word look like in this day and age if it had a similar emphasis on regeneration by the Spirit of God? The one other aspect or controversy of Spurgeon’s ministry that I would like to touch on regards is that which Murray calls the “Downgrade.” The Baptist Union of which Spurgeon had been a part and among which he had ministered for several years had undergone such change that the doctrine of the infallibility of Scripture was being undermined. Although Spurgeon has been accused by some of separating from the Union over his rigid adherance to Calvinism, Spurgeon’s own quotations show that this was far from the truth. 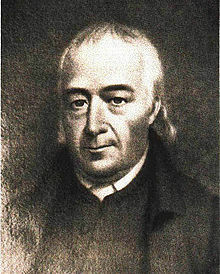 He was fighting over the very foundation of Christian truth, that Scripture is the only and the inerrant rule for the faith and practice of the church, a position which was being actively weakened and undermined at the time in the Baptist Union of which the Metropolitan Tabernacle was a part. I find it instructive and interesting that Spurgeon’s main concern in this controversy was such that he laid aside, if you will, the debate between Calvinists and Arminians in order to defend the position of Scripture in the Christian church. It seems that Spurgeon would have been content to continue serving in a Union which included some Arminians, doubtlessly in an attempt to win them over to a more biblical view of salvation, if it could only be agreed that the sixty-six books of Holy Scripture were the inerrant and infallible authority. This episode offers a glimpse into Spurgeon’s view of fellowship between the churches. I personally find it instructive as one who serves in a conference which includes a diversity of views on the topic of soteriology. In what ways are Spurgeon’s efforts at finding unity in a common view of Scripture as inerrant and divinely inspired to be imitated? Or is it regretful in some way that he tried to remain an influence on the Union for as long as he did? I find the question of where to draw the line in terms of fellowship between churches to be one of the trickiest knots facing Christian churches today. Where do you balance the safety of high standards of doctrinal purity with the desire to be an influence on a broader range of churches through fellowship? Spurgeon’s example is something I will be chewing on for insights into this conundrum.